Since 2013, students, faculty and staff within the J.T. & Margaret Talkington College of Visual & Performing Arts have led efforts to increase offerings and education in the arts. It's been noted in study after study throughout the years: when children have access to the arts, they perform better academically, are more involved in their communities and have better career opportunities later in life. 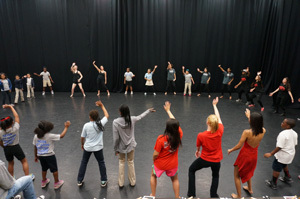 Exposure to things like music, art, theater and dance in and out of the classroom helps students develop critical-thinking, communication and problem-solving skills. In underserved communities, like areas of East Lubbock, exposure to the arts is often scarce. That began to change in 2012 after Lubbock was awarded a Promise Neighborhood Grant by the U.S. Department of Education, resulting in $24.5 million in federal funding for the East Lubbock Promise Neighborhood (ELPN), an initiative focused on advocating for and supporting children and families in the community. The ELPN initiative was spearheaded by Texas Tech University's College of Education and has grown to include a variety of departmental and campus groups all focused on a common goal – ensuring East Lubbock children and parents have access to the health, education and community resources they need to grow, learn and succeed. Since 2013, students, faculty and staff within the J.T & Margaret Talkington College of Visual & Performing Arts (TCVPA) have been part of the effort, providing consistent and ever-expanding access to a variety of art resources and programs to students of all ages in East Lubbock. 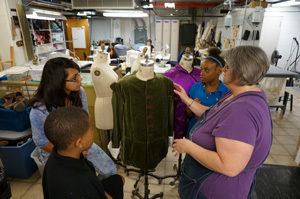 TCVPA-ELPN leads programs that introduce students of all ages to a wide range of artistic disciplines, forms, styles and cultures in a safe and supportive environment. They can learn, create and socialize with others who have similar interests and improve skills like leadership, self-expression, collaboration and communication. Strange said while East Lubbock does have an extensive artistic history, including jazz musicians, artists and sculptors, creating high-quality, multidisciplinary arts education programs was a priority for residents in East Lubbock. 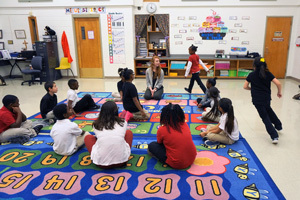 According to data collected by TCVPA in their ongoing "state-of-the-arts survey,” 82 percent of respondents want increased arts and culture offerings in their community, while 69 percent hope for even more opportunities for children. 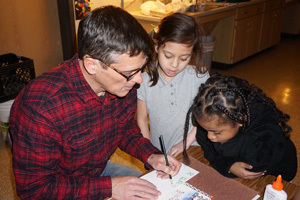 Multidisciplinary after-school programming during the school year at Alderson and Ervin elementary schools helps fulfill these needs and desires. The collaborative effort between TCVPA and the College of Arts & Sciences consists of equal parts physical education and arts. 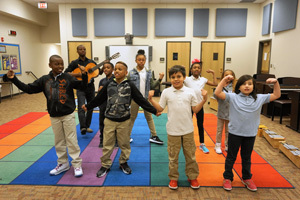 In 2016, the after-school program at Ervin included 225 students who completed a variety of projects, from creating song-and-dance routines to composing original music. Students also work together to create models of their ideal neighborhoods based on their wants, needs and own cultures and experiences. The process allows students and program leaders to recognize how they can succeed through the help of a caring and supportive community like those TCVPA and ELPN programs provide. It's why Bondt said he thinks the programs should be sustained indefinitely. Strange said the students showcase what they've learned and the work they've completed throughout each semester with a presentation to their peers, educators and families. 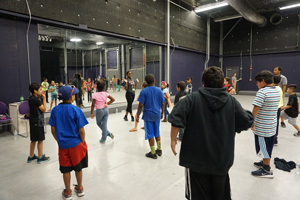 The afterschool program complements additional in-school support that has come in the form of drama workshops and donations like art supplies, food and a variety of literature. It's a powerful experience for the visiting students, he said. 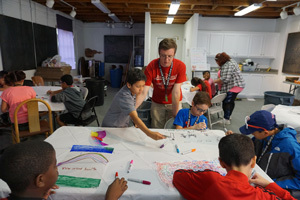 During the summer, TCVPA gives students another opportunity for involvement – the East Side Arts Camp (ESAC), a five-day program in August held at the Louise Hopkins Underwood Center for the Arts (LHUCA). The week includes the unveiling of a community art project and a showcase at the First Friday Art Trail. The program began in 2015 and has grown each summer, with students from four East Lubbock elementary schools participating in the camp. 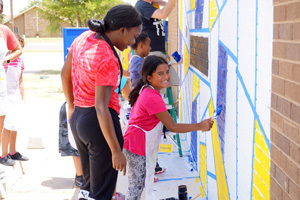 Each year, the students create a public mural at a partner location in East Lubbock with help from local artists. TCVPA graduate student Meg Davis began working with the camp in 2015 as a theater instructor and served as assistant director this summer. The story focuses on strangers convincing local townspeople, who are used to looking out for themselves, to contribute ingredients to a stone placed in a pot of boiling water, resulting in soup that eventually benefits all the contributors. Strange said this development is just as important as what the students learn about art. Davis said she also has learned several lessons from interacting with camp participants. By the end of the week, these same principles were noticeable in the way campers interacted with each other and camp leaders. Davis said it speaks to the importance of programs like ESAC and the impact they have on the rest of the community. She said her hope is that these young artists continue to use art as a form of self-expression, and they reach out to siblings and family and friends to fortify the community with love and respect. In all, the combined number of those reached in the 2016 cycle of programs was 550 students of all ages from six East Lubbock schools. 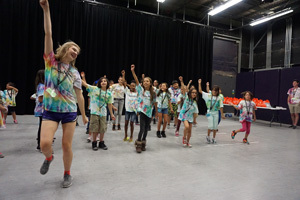 More than 200 participated in afterschool programming, almost 200 participated in field trips to the Texas Tech campus and another 39 attended ESAC. The numbers for 2017 are expected to be even higher as more and more students learn about and apply to the programs. Strange said initial data shows after-school program participants regularly outperform their peers in grade-point averages by almost half a point and on standardized tests scores, including scoring almost 10 percent higher in mathematics. Participants in the program have self-reported improvements in soft skills like teamwork and time management. Strange said there are plans to track cohorts of students as the programming continues to grow to compare changes in academic achievements, behavioral milestones and the community as a whole. The impact of the TCVPA programs has already begun to extend beyond individual student improvement, Strange said. 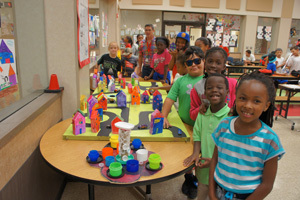 In 2016, Ervin Elementary achieved status as an arts magnet campus, something school administrators said the after-school program helped accomplish. Grant funding for ELPN is scheduled to end in 2018, but work has already begun to find ways to sustain and expand the current programs. Strange said the TCVPA-ELPN programs and initiatives are a way to show the importance of equity when it comes to resources and opportunities, no matter where they reside in Lubbock. Artists are in a unique position to help lead the charge, he said. He said he hopes ELPN is just the beginning of a rejuvenation of East Lubbock.